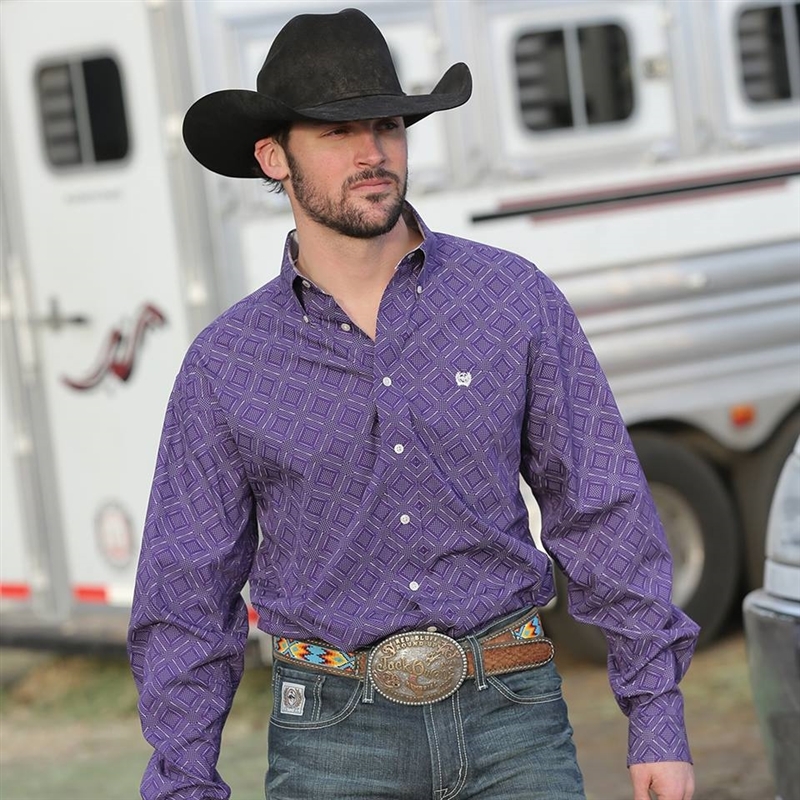 A series of small dots connect to create a unique geometric print pattern in this button-down, while its bold purple color makes this shirt far from traditional. Cream buttons and a cream embroidered CINCH logo add the final touches. Classic Fit.